We were sent Melvita Toothpaste For Children. 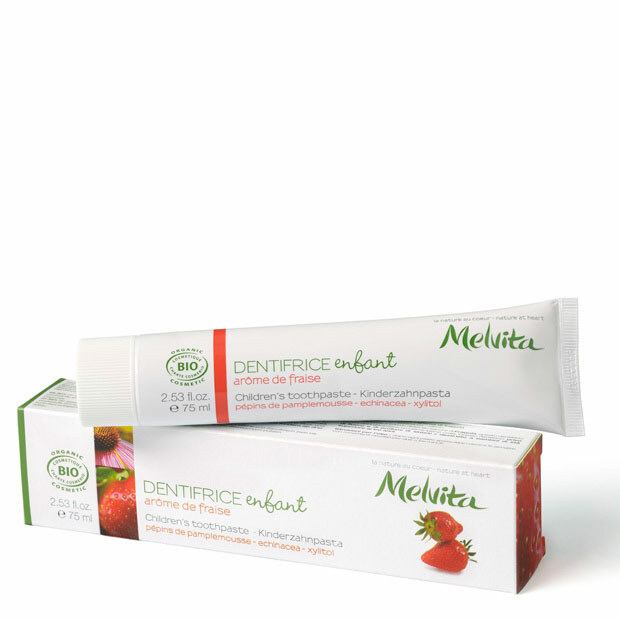 This mild, fluoride-free toothpaste protects and cleans children’s teeth with a gentle strawberry flavor. This enticing blend contains wheat bran to prevent tooth decay, bamboo to protect enamel, and grapefruit pip and echinacea to prevent tooth decay. This toothpaste also contains xylitol, which has been proven to prevent cavities. It is safer than fluoride, as there are no harmful effects if children swallow it (although you should keep it away from dogs). I really like Melvita products, a company I have only just discovered. I feel better about my children using this toothpaste over [amazon_link id=”B001EJOQ9W” target=”_blank” ]Tom’s of Maine Natural Fluoride-Free Toothpaste for Children, Silly Strawberry (Pack of 6)[/amazon_link], which contains sodium lauryl sulfate. I wonder what EcoCert would think about Fluoride anyway.